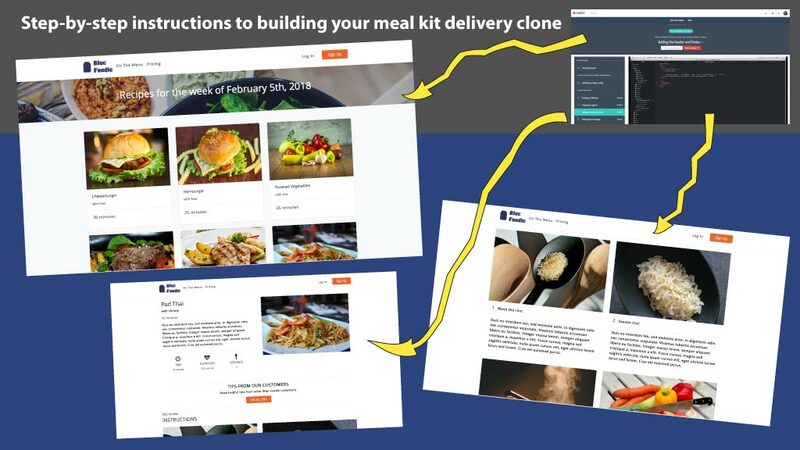 Formerly known as Learn to Build a Blue Apron clone, this course teaches you how to code by building an app modeled after a top meal kit delivery app with pretty much the same tech stack they used when they started. Wouldn't it be nice if you can create a meal kit delivery app so that people can cook meals at home at ease without visiting the grocery store? Have you ever wondered how companies like Plated, HelloFresh built their websites? Don't worry! I thought about that too and have figured it out for you! In this course, we'll build from the landing page to the subscription payment form to making sure the payment processing actually WORKS! If you are still searching for that ideal technology co-founder but just can't seem to find one according to your budget, I suggest you get started with learning how these tech startups started it all in the first place. Forget about fake clone scripts or WordPress themes out there that charge you a fortune and don't teach you how things work. Don't be at the mercy of your technology co-founder, learn how things work yourself. 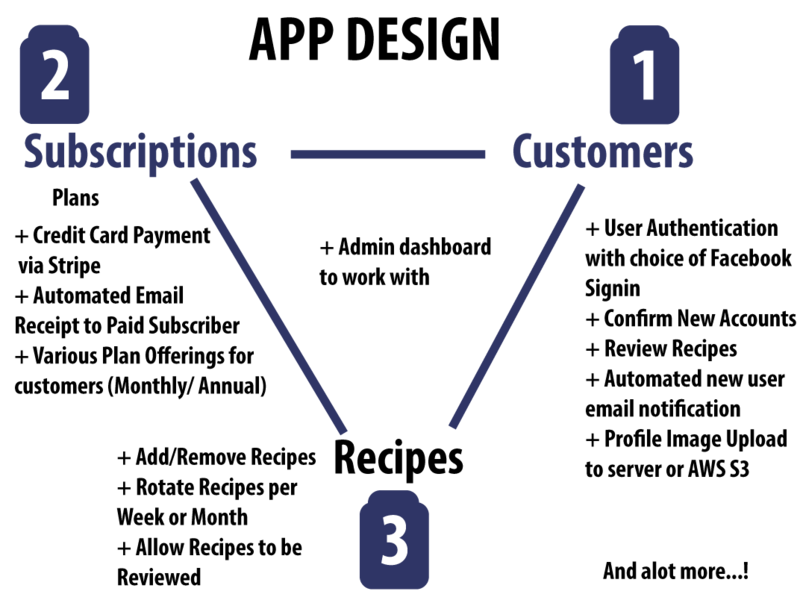 Learn to create subscription plans and process your customers' payments! Whether you're building a startup with a subscription model like Hello Fresh, or a budding web development student looking to speed up your learning process, this course is a guaranteed worthwhile investment. The source code can be used for more than just a meal kit delivery service. 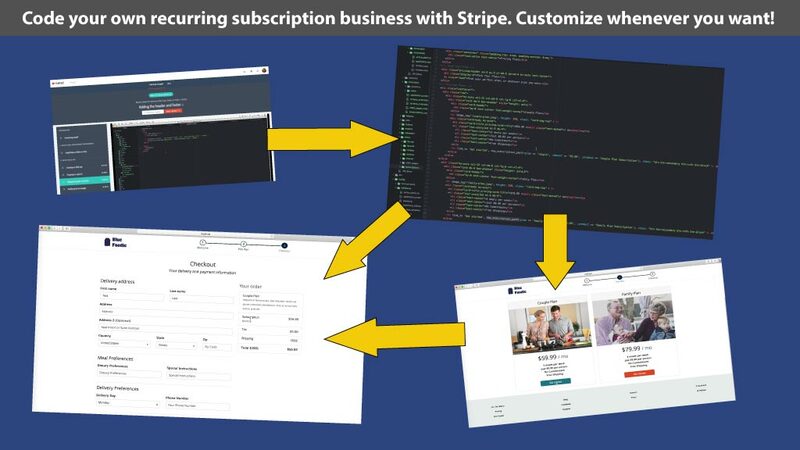 You can tweak it per your configuration, for any other subscription-based business. So...what are you waiting for? Enroll in this course for step-by-step instructions and FULL source code + assistance, to guide you through building your own meal kit delivery app in no time!